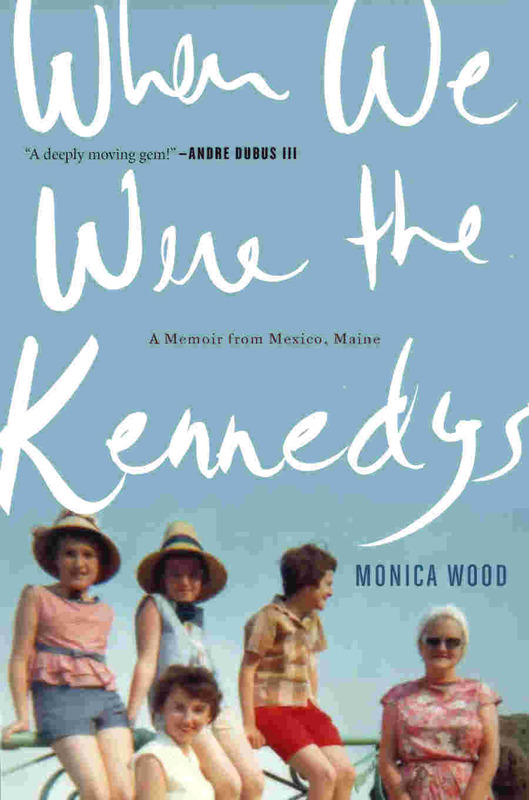 We Were the Kennedys provides some backstory about the history of the Monica Wood’s parents, how they came to Mexico, Maine and also some glimpses into the future of each of Monica’s siblings and other important members of their family and community. For the most part, though, this is a story of the first year after Monica’s father dies suddenly on his way to work at The Mill leaving a widow, four daughters still living at home and a married son behind. The Mill is purposely capitalized as it is every bit as much a character in this story as any of Monica’s family or friends. In fact, perhaps my love for this book stems at least in part from a shared background of a Catholic girl who grew up in a small town where The Mill was king. While a generation removed from Monica Wood, I related to the children’s refrain “We are the Oxford, the mighty, mighty Oxford” repeated throughout the story. As a child and young adult it angered me when people from other towns made fun of the way my town smelled. Didn’t they know that was the smell created on the backs of hard-working people? It was the smell of food on the table; new books in the school library; a tight-knit community. Monica Wood was able to relay the pride of a child in her town’s employer, while still overshadowing the story with her knowledge as an adult of the negative health and environmental impacts a paper mill can have. Overall, however, this is a deeply personal story of a little girl who lost her father at a young age and how her family came to deal with that tragedy mere months before President Kennedy’s children was struck a similar blow. Monica Wood does a brilliant job of channeling herself as a bright, shy, heartbroken child trying to be a pillar of support for her mother while also trying to fill her own empty heart with the kindness expressed by the fathers of her friends. I hesitate to call the people in this book “characters”, as I know they are real people, and they are presented as real and three-dimensional. Even those that Monnie-the-child hero worships are not shown without flaws, and the people who are less sympathetic in some aspects, rally around the Wood family in their time of need because they are all part of the same Oxford family. I would not hesitate to recommend this book and have added Monica Wood to my list of must-read authors.